The new fall prints will be available in the Etsy shop on August 1st! Here's a little preview of the colorful new choices. 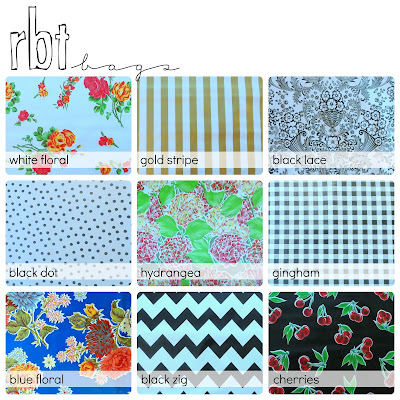 I have been sewing up samples for pictures all week and so far my favorites are white floral, blue floral, and gold stripe! 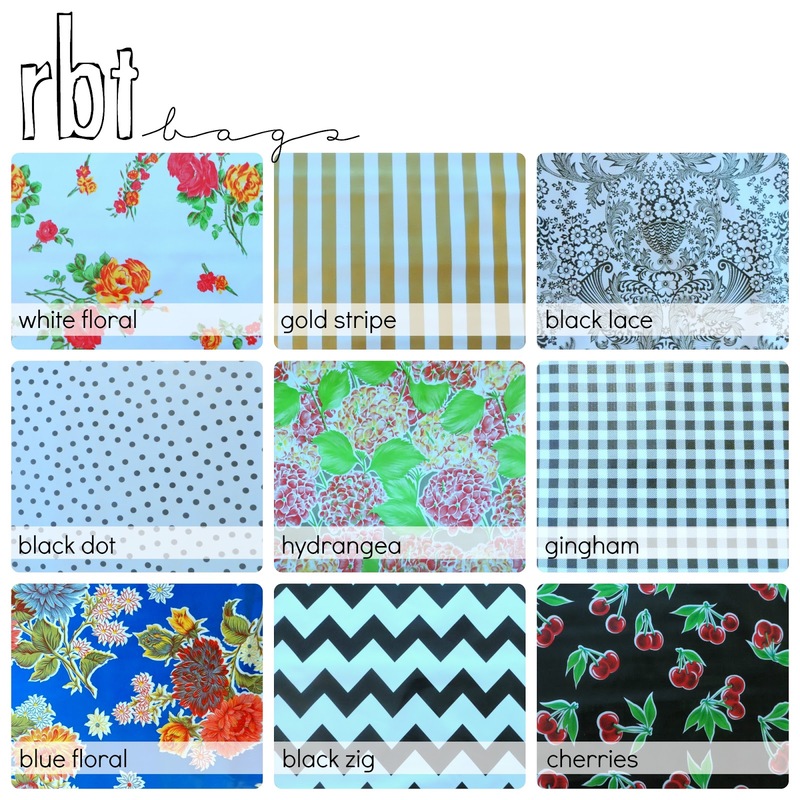 Don't forget to join the rbtbags e-mail list so you will get the latest updates on new products and prints. 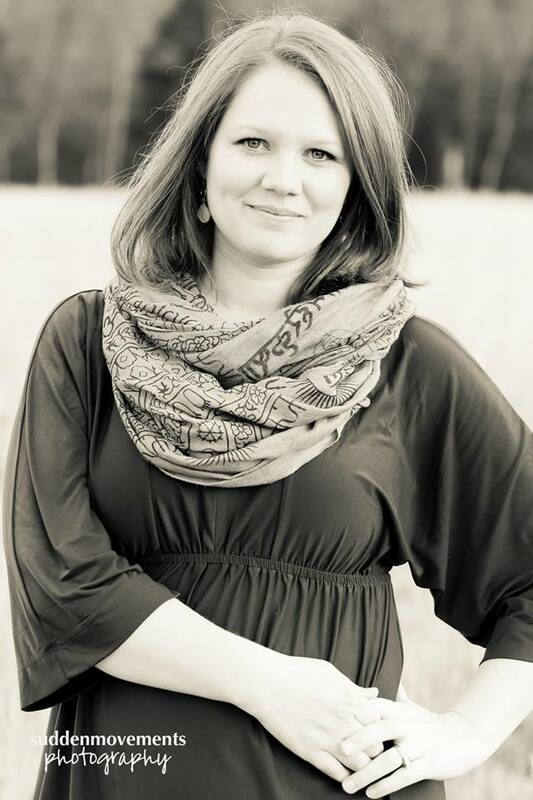 Just type your e-mail address in over here ----> and hit "subscribe."